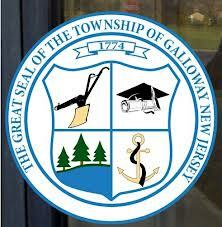 GallowayTwpNews.com has obtained a copy of a "Notice to Employees" sent to Public Works employees who are members of the Township's Public Works Union Local 676. The notice indicates a potential split of representation in the Local 676 union. The notice posted on March 4, 2013 and executed by Township Manager Arch Liston states, "This is to advise you that, on March 4, 2013, Galloway Township intends to grant exclusive recognition to Teamsters Local No. 676 as the representatives of a negotiations unit comprised of the Department of Utilities full-time and regular part-time employees, without an election, based upon a card check demonstrating the Local 676 represents a majority of that unit." Township Manager Arch Liston did confirm that Members of the Utility Division of Public Works are petitioning PERC for separate representation. The separation of representation would presently include nine employees. Liston also confirmed the Township will not fight the Unions request to separate and negotiate for their own contract with the Township. This requests comes after the Township has had multiple years of give backs and lay-offs that have affected all of the employees in the Township. Local 676 still represents other Public Works employees which include some of the other divisions of Grounds, Facilities and Roads. GallowayTwpNews.com was informed today, that members of the Public Works Department meet with Local 676 Business Agent Jim Bennett this morning in order to discuss this change. Members within the Union were told the change to segregate out the Utilities Division, will allow for those employees to be represented equally as those employees are required to maintain certain certifications and licenses in order to maintain their position. Employees within the Utilities Division also work although the same hours, but are also required to be on call when needed. This change will add another Collective Bargaining Unit to be negotiated this year as all of Union Contracts, excluding the Police Department, expired December 2012.